:: Construction Graffiti ::: The birds and the bees. If you have trouble giving your child "the talk" just show them this amazing illustration. 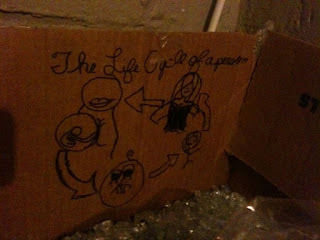 Ignore that most of the illustrations are unhappy and that it is drawn on a box filled with broken glass.